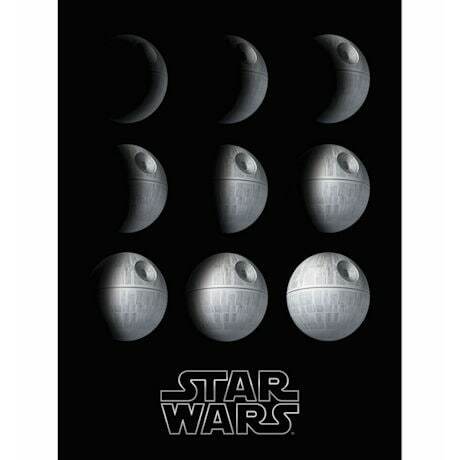 Phases of the moon takes on a new twist with the iconic DeathStar from the epic Star Wars series. Gallery wrapped canvas is ready to hang in your own galaxy. Wood, paper. 8" x 10"